The NRL odds for round 6 have been released, with rugby league fans set for a blockbuster Easter weekend. 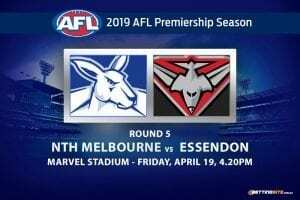 Cronulla ($1.69) will start favourite against Penrith ($2.15) in the round opener on Thursday night at Pointsbet Stadium. The Sharks have won two from five to open the 2019 season, the same result as the Panthers, but they look too good on paper in this one. 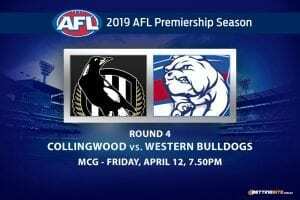 Two matches will take place on Friday night, with South Sydney hot $1.33 favourite to defeat the Bulldogs ($3.40) at ANZ Stadium. 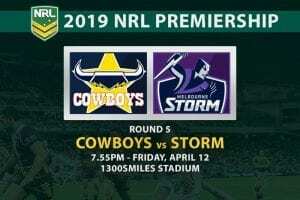 Also NRL premiership fancy the Storm will clash with the Roosters at AAMI Park, with the Melbourne-based team $1.80 to defeat the $2-priced Roosters. On Saturday evening, the New Zealand Warriors are $1.39 to defeat the North Queensland Cowboys ($3) at Mt Smart Stadium, while St George-Illawarra is at $1.44 to defeat Manly ($2.80) at WIN Stadium. On Sunday, the 14th placed Gold Coast Titans ($1.85) are narrowly tipped to beat the Newcastle Knights, who are priced at $1.95, at Cbus Super Stadium. The Canberra Raiders ($1.70) will also look to continue to heap the misery on the Brisbane Broncos ($2.15) at GIO Stadium. 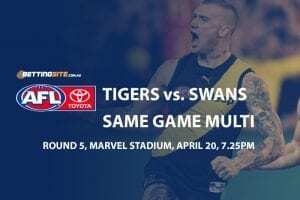 Round 6 of the NRL will close with a clash between the Parramatta Eels and West Tigers at Bankwest Stadium on Easter Monday. 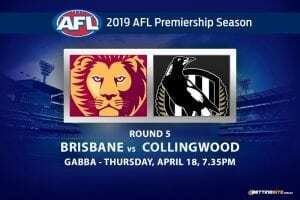 The Eels are $1.82 favourite to win this clash, although there is some love for the Tigers, who are priced at $1.99 for the victory. The Melbourne Storm and the Sydney Roosters are equal $2.50 favourite for the NRL Premiership, after round 4 of the regular season. 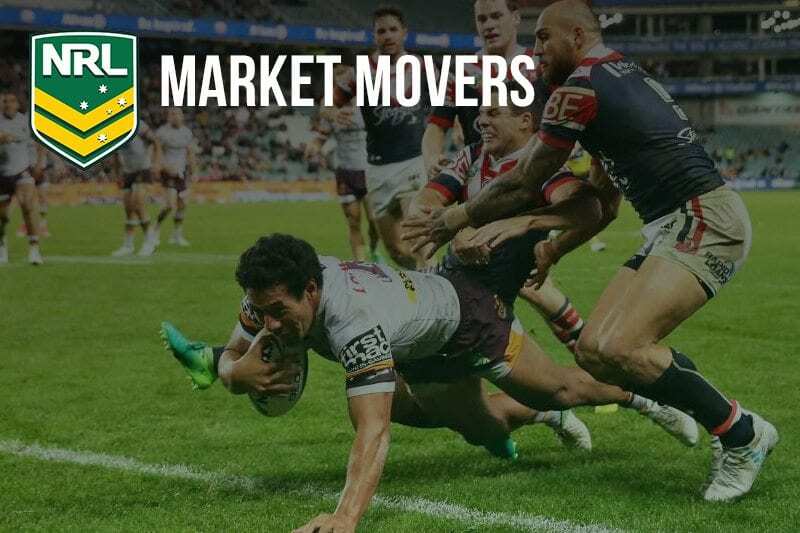 The Rabbitohs are clear cut third favourite in NRL betting at $4.50, with the Canberra Raiders the only other team in the market at $12. 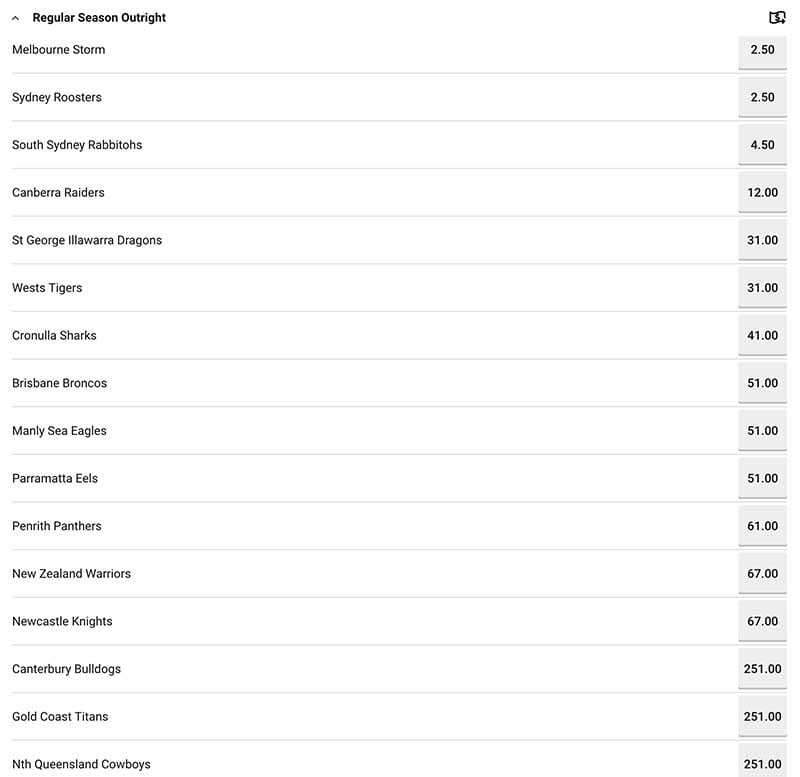 The Broncos, after their slow start to the 2019 season, have drifted out to $51 to win the premiership. 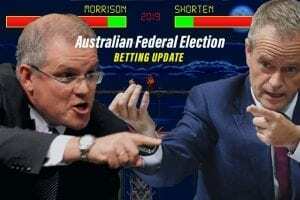 NRL odds courtesy of Sportsbet.com.au – All were correct at time of publishing on Monday, April 15.